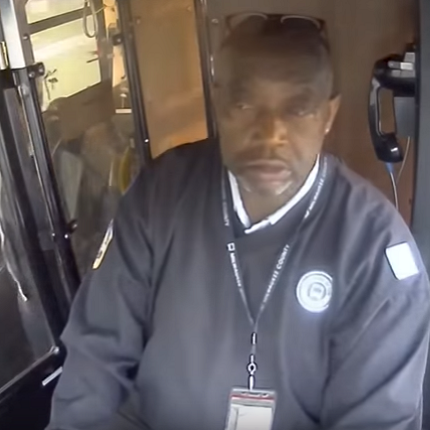 MCTS Driver Duane Butler was driving northbound on the Route 27 on July 4, 2017 around 6:30am when he saw a 2-year-old boy standing outside in slippers all by himself. Duane pulled over to see if there was an adult nearby and when no one appeared a passenger got off the bus to talk to the boy. The boy seemed lost, so the passenger brought the boy onto the bus while Duane called the MCTS Dispatch Office to report the incident. The Dispatcher called the Milwaukee Police Department (MPD). While they waited for police, one of the passengers wiped the boy's runny nose and talked to him to comfort him. Two MPD officers arrived, and took the boy by the hand to find out where he lived. Police say the boy snuck out of the house while his mom was asleep, she was relieved the boy was found and taken back home.